On Wednesday, it was reported that doctors left Bobbi Kristina Brown's family with the decision of whether to take her off of life support, but according to a new report, things aren't sounding good for the 21-year-old daughter of Whitney Houston and Bobby Brown. According to a "family member" who spoke with People, the family has all gathered at Emory Hospital to join together and support each other during this extremely difficult time, and has started saying goodbye to Bobbi Kristina. The source said, " Everyone is coming to the hospital to say goodbye." Update: According to E! 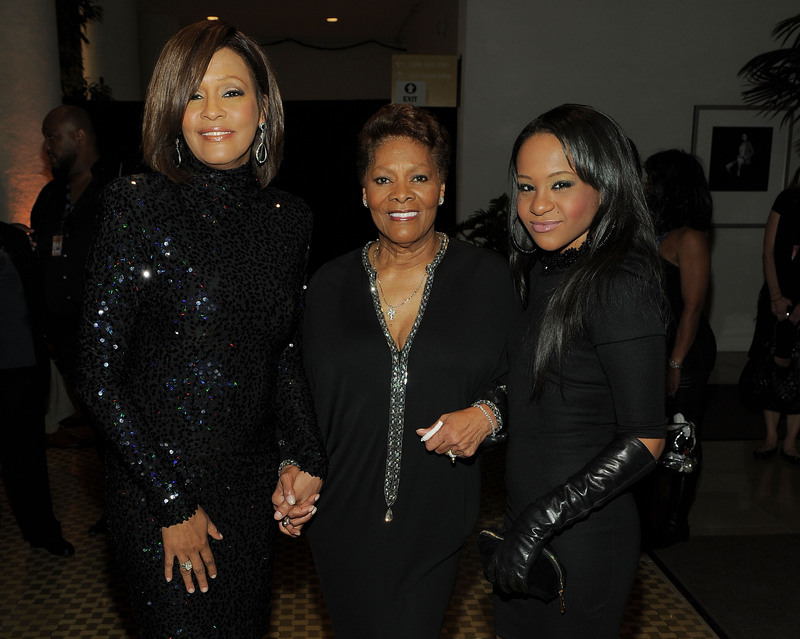 News, Bobbi Kristina "is not brain dead" and there has been no "family gathering." Conversely, according to The Daily Mail, Bobbi Kristina has been taken off life support. Bobbi Kristina was found unconscious in her bathtub on Saturday, and rumors surrounding the nature of what caused her accident are swirling, many speculating that there were drugs involved. Police have been investigating if there were eyewitnesses present that fled the scene. But right now, I can't imagine those details matter so much to the Browns and the Houstons who are just hoping Bobbi Kristina still has a chance. Her father, Bobby Brown, has of course been most affected. According to a source, "Bobby has been crying nonstop since yesterday.... We are grieving." Even more unfortunate is the fact that Thursday is Bobby Brown's birthday. Family members who have gathered are offering him their unconditional support, as have celebrity friends like Kevin Costner and Missy Elliott, who called Bobbi Kristina her "little sister." In a tremendous and brave show of strength, another family member says that they still are hoping for a miracle turnaround: "We're all still praying that God will intervene and heal her body."